Copenhagen Cycle Chic is spreading. Thanks for all the guest photos! Another stellar shot from Lucy in Australia. 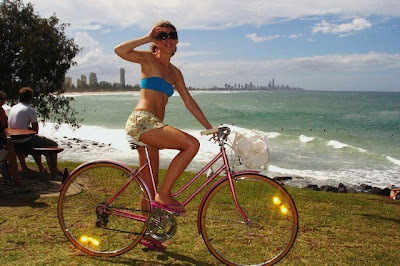 Lucy sells restored vintage bikes on Ebay and this is one of her happy customers in Gold Coast. I love this shot, not least because I lived there for six months back in the day and have surfed that very break in the background. Ah, memories. Cool shot from João in Portugal. 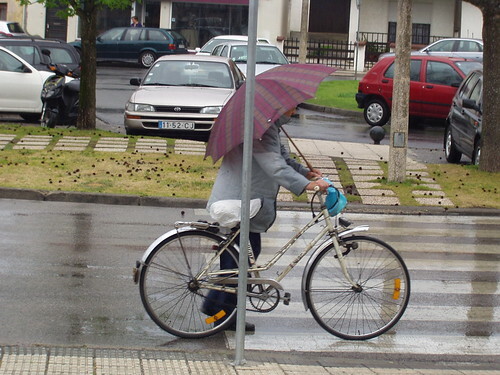 Check out his cool blog about Portugal's bike capital, Ílhavo here. 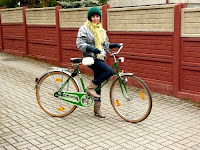 A splash of Munich cycle chic from my mate G-fried. This landed in the inbox from a reader. Classic bike, as seen by the thousands in Copenhagen. A splash of New York Cycle Suit Chic from Bicyclesonly on Flickr.